A surprised Southern matriarch is confronted by her family at an intervention. . . . A life-altering breakin triggers insomniac introspection in a desperate actor. . . . Streetwise New York City neighbors let down their guard for a naïve puppeteer and must suffer the consequences. . . . In this stunning collection of short stories—five of which are being published for the very first time bestselling, award-winning author Debra Dean displays the depth and magnitude of her literary talent. 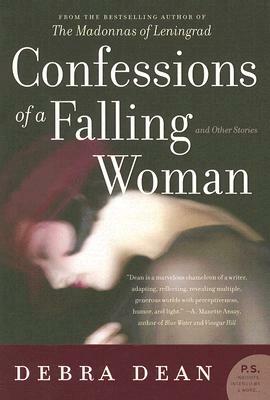 Replete the seamless storytelling and captivating lyrical voice that made her debut novel, The Madonnas of Leningrad, a national bestseller, Dean’s Confessions of a Falling Woman is a haunting, satisfying, and unforgettable reading experience. Debra Dean worked as an actor in New York theater for nearly a decade before opting for the life of a writer and teacher. She and her husband now live in Miami, where she teaches at the University at Miami. She is at work on her second novel.